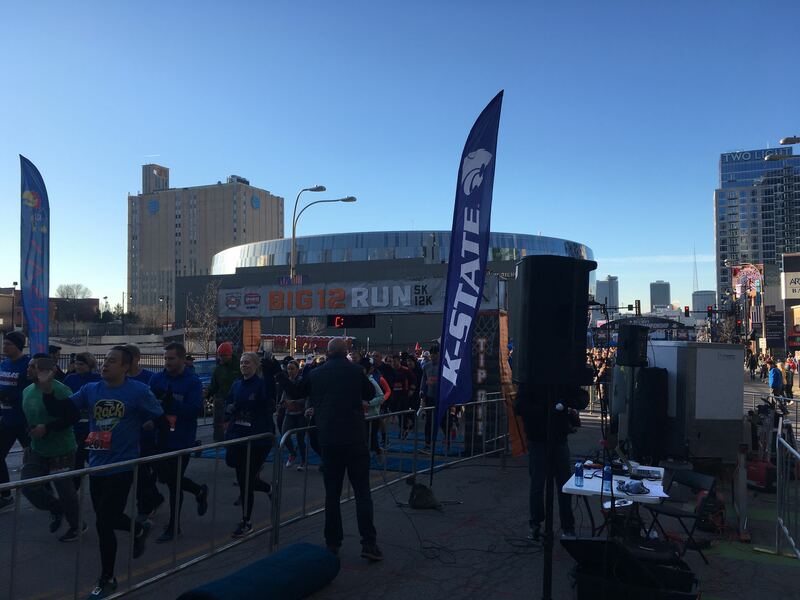 On a chilly, sunny Saturday morning, fans supporting every team in the Big 12 gathered in the heart of Kansas City, Missouri, for the Big 12 Run. Competitors could participate in a 1-mile, 5K or 12K run. 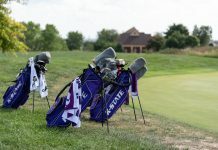 With the Big 12 Tournament almost at its end, the runners shared their thoughts and predictions. Lisa Joerling and Erica Thomason, Kansas State alumni, have participated in the fun run the past few years. 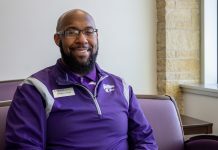 Although Joerling was disappointed with K-State loss on Friday, she thought the Wildcats still had a great season. Todd Johns, of Blue Springs, Missouri, and Iowa State fan, participated in the 5k run and said the game against K-State was hard to predict. Savannah Chambers, University of Kansas alumna, runs the race annually. Her fiance, Dalton Warden, KU alumnus, ran the 5K with Chambers and said KU had a tough season and gave his thoughts on their game against Iowa State this evening. I'm Pete Loganbill and I'm one of the assistant news editors at the Collegian. After transferring from Johnson County Community College last semester, I am now a junior in Public Relations. I believe constant communication leads to progress, no matter how difficult a comment may be for me or anyone to hear. 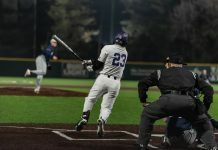 Contact me at ploganbill@collegianmedia.com.